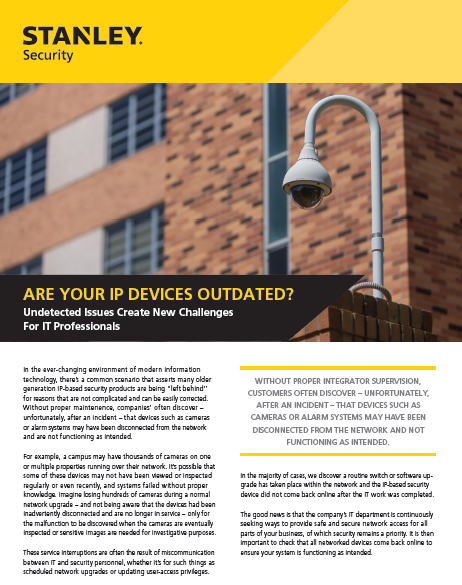 Are Your IP Security Devices Outdated? In the ever-changing environment of modern information technology, there’s a common scenario that asserts many older generation IP-based security products are being “left behind” for reasons that are not complicated and can be easily corrected. Read this article to learn more about how older generation IP-based security products may impact your business. Partner with STANLEY Security to assess your current security products and technology.